What hormones interfere most with getting toned, tight, and burning fat? Why is that menopause threshold such a game-changer for fitness strategy? How do you interpret signs and symptoms of hormone interference to plan your best defense? What’s the best type and timing of exercise for boosting energy and beating Fatigue? What nutrition mistakes sabotage your success when you cross the hormone Threshold? Can you really get toned, tight, and fit after 50 – even if you’ve never been there? Where is the best place to start if you’re a newbie or starting again? Debra Atkinson, MS, CSCS is a 32-year Fitness Expert, America Boomer Babe’s Fitness Expert who specializes in helping women with weight loss resistance find the right exercise and nutrition timing to finally lose weight and gain energy by creating a healthy environment where that happens easily without struggle. Debra was Senior Lecturer (not to be confused with senior citizen) in the department of Kinesiology for 15 years at Iowa State University and has managed private personal training programs successfully for over 24 years. 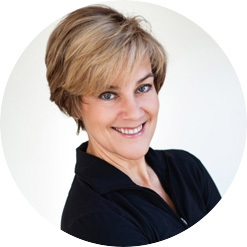 Debra is an international fitness presenter for leading fitness associations including the International Council on Active Aging, IDEA,NSCA, and is a subject matter expert for the American Council on Exercise. *Navigating Fitness After 50: Your GPS for Choosing Programs and Professionals You Can Trust* and *You Still Got It, Girl! The After 50 Fitness Formula For Women. *Debra is a featured fitness expert on Sharecare.com, PrimeWomen.com, and LivingBetter50.com and a speaker for audiences ranging from 50 to 2000.
and finds the *infobesity *out there confusing and conflicting then Debra is your fitness expert. Debra Atkinson’s information was informative. I have discussed with a relative that my recovery time is different from his recovery time. Keep telling women the importance of allowing adquate Recovery time.